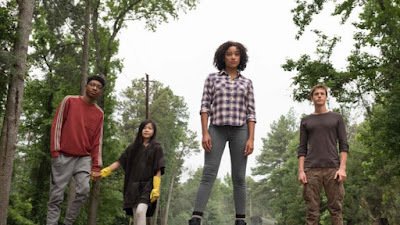 In the upcoming YA film The Darkest Minds, a group of teens mysteriously gain super powers and are then imprisoned the U.S. government who fear them as a threat. So what do these powerful kids decide to do? Fight back, of course. No, this isn't a spinoff of the X-Men, but it sure as heck sounds and looks like it based on this new trailer. Oh, and it's from 20th Century Fox, too. Shrewd move, Fox. 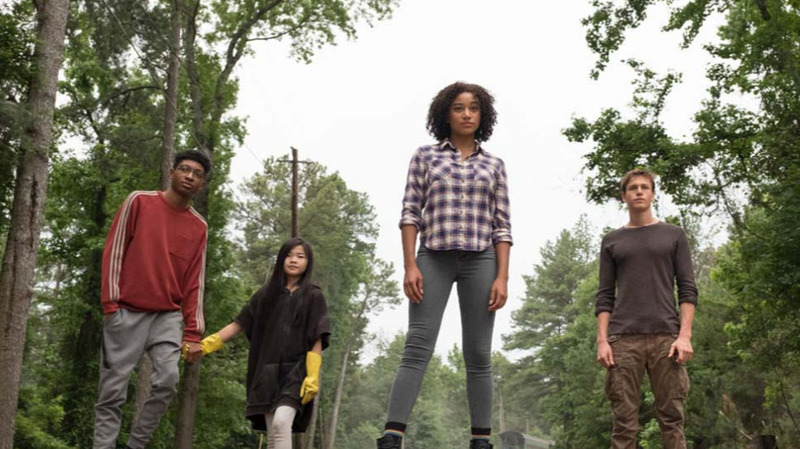 The film stars Amandla Stenberg, best known for playing Rue in The Hunger Games and other YA offerings like Everything Everything and As You Are, but the most intriguing aspects may be behind the camera. Jennifer Yuh Nelson is making her live-action directing debut after building her career as a director of animation, including Kung Fu Panda 2 and Kung Fu Panda 3, making her the only other female director of color (with Ava DuVernay) on a film budgeted at more than $100M. Producer Shawn Levy is one of the brains behind Netflix's Stranger Things. Stenberg is surrounded by a solid supporting cast, too. Skylan Brooks from Netflix's The Get Down, Harris Dickinson who broke out with last year's indie hit drama Beach Rats, Mandy Moore, and Gwendoline Christie as a bounty hunter tracking the runaway super-teens. The Darkest Minds opens August 3rd and color me very interested.